It works with your body as a powerful activator of healthy hormonal balance, by increasing the chance for oestrogen to be broken down into its beneficial or ‘good’ oestrogen metabolites. 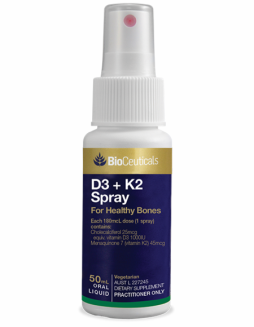 Contains the active ingredient DIM (diindolymethane) – a natural substance derived from cruciferous vegetables, that has a similar structure to your natural hormones. It works with your body as a powerful activator of healthy hormonal balance, by increasing the chance for oestrogen to be broken down into its beneficial or ‘good’ oestrogen metabolites. When DIM increases ‘good’ oestrogen metabolites, there is a simultaneous reduction in the levels of ‘bad’ or xeno oestrogen metabolites, which can actually cause oestrogen dependant cancers. EG: breast, ovarian & uterine cancer in females and prostate cancer in males. For centuries, people have known that cruciferous vegetables (broccoli, cauliflower, brussel sprouts and cabbage), have value as medicinal plants, but only recently science discovered the specific activity of individual cruciferous phyto (plant) nutrients, especially DIM. Indoles, like DIM from cruciferous vegetables, promote beneficial oestrogen production / metabolism however a daily intake of more than 5 kilograms of raw broccoli per day would be required to significantly improve your hormonal ratio. Estrosense and the lower potency product, Indolplex, provide an effective and natural approach to improving oestrogen metabolism and maintaining a healthy hormonal balance. Estrosense and Indolplex are the first and only source of DIM compound in a patented delivery system, that provides effective absorption. 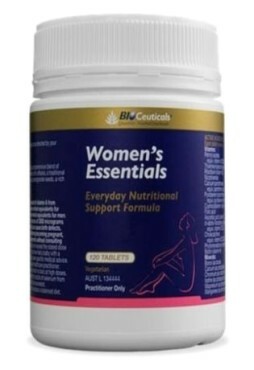 Prevents and protects against oestrogen dependant cancers such as breast, ovarian, uterine and prostate. Regulates oestrogen production to reduce symptoms associated with PMT eg: period pain, mood swings, abdominal blaoting and fluid retention, breast tenderness and cystic breast syndrome. 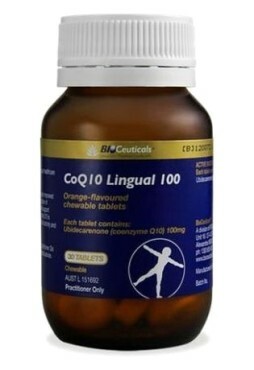 General maintenance dose: 1- 2 capsules per day or as directed byyour health care practitioner. 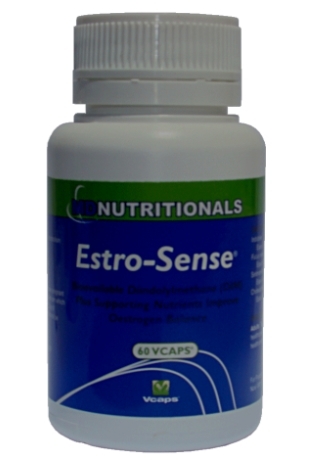 Treatment of Chronic oestrogen related conditions: 3- 5 caps per day. If Symtoms persist, see your health care practitioner.